UCLG ASPAC is the largest regional section of United Cities and Local Governments (UCLG), an amalgamation of International Union of Local Authorities (IULA), United Towns Organization (UTO) and World Association of the Major Metropolises (METROPOLIS). UCLG was established on 1 January 2004 and is headquartered in Barcelona, Spain. Following this unification, UCLG ASPAC was established in Taipei on 14 April 2004, as the new entity of IULA ASPAC. 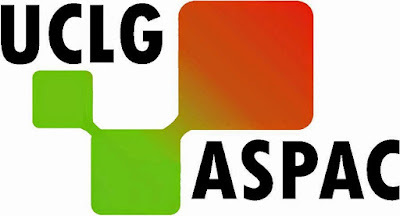 UCLG ASPAC’s Secretariat is based in Jakarta, Indonesia. Following the expansion of its Secretariat and to support the increased cooperation of cities and local governments, UCLG ASPAC is inviting professional and dynamic people to fill in the newly created and opened positions. UCLG ASPAC is recruiting Executive Assistant (EA) for a one-year (1) period with possibility of extension, based on satisfactory performance. The Post assign to provide high quality personal and administrative assistance to the Secretary General and in support of wider operations. The EA reports directly to the Secretary General (SG). To be responsible for being the main point of contact of SG in her relations with internal and external stakeholders. To be responsible for managing SG’s daily diaries to ensure effective and efficient day-to-day activities of the SG’s Bureau. Perform other administrative and secretarial duties as requested by the SG in well-organized and timely manners. Bachelor’s degree in administration or other relevant areas. Demonstrated experience working with local governments, multi-donor agencies and/or development partners. Familiar with social media outreach. Be willing to travel when required. The post will be supervised by the Secretary General and have close coordination with other Head of Divisions, and supported by relevant managers and/or coordinators/officers.